My Australian and UK Blog Tour for FEARLESS begins on July 13 and runs through until July 17. Some wonderful bloggers are hosting this for me and I’m looking forward to dropping by at each of their sites. So what can you expect? Well, my first stop is on July 13 at the wonderful blog site of www.speconspecfic.com/ where I will be revealing the Fearless Book Trailer. I’m excited about this as the trailer was run as an exercise in a class of brave university students at the University of Technology, Sydney. There were so many amazing submissions and the choice of the winning trailer was extremely hard to select. Just so you know, I didn’t have the final say, but I love what the winner has done and I hope you do too. Thank you to all those students who devoted their time and expertise to participate. My next stop on July 14 is going to be interesting in a completely different way. This is where I will reveal a chapter from The Avena Series that was never published. Originally it was to be a Prologue at the beginning of HIDDEN. But now it’s called “The Birth of Ebrielle”, and you will be able to read it at the UK blog site of: http://escapismfromreality.blogspot.co.uk. On July 15 I have a Guest Blog Post on two sites: http://paranormal-angel.blogspot.com.au/ and http://paranormalangel.wordpress.com/ where I will have a lovely chat about . . . hmm . . . something close to just about everyone’s hearts. On July 16 I will be a guest at the UK blog site of http://fictionfascinationco.ipage.com/ where I will be answering Top 10 Random Facts about Fearless, and well, some of these random facts relate to the entire series of HIDDEN and BROKEN too, as well as a few about me. So please drop by. And as always I’d love to hear your comments. You can contact me right here on my website or send me an email at: marianne.curley7@gmail.com. This is probably the best book I have ever read – and I really read a lot. It’s not about the great writing style, but it’s about the feeling you get while reading it; it’s impossible to put down! You get so excited to read what will happen next, and you’re never disappointed. I love the relationships between the characters. She gives us exactly the information you want and makes it interesting and exciting. I also love the way she has presented the story and I highly admire how she writes in both Kate’s and Jared’s perspectives. It gives you perfect insight and understanding of the characters. I have read this book so many times, I can’t even keep count (you should see my copy of the book, it is falling apart), and I would love Curley to write a sequel because every time I finish it I’m left wanting more! A definite must-read! My daughter has had this book in our family library since a book fair came to her school when she was in middle school. It’s been waiting patiently for about ten years now. She pulled it off the shelf and read it first. Then she hounded me to read it so I finally gave in. Did I ever tell you that she has never steered me wrong? Well, this was no exception. It started out like every other teenage angst novel. The unusual girl and the boy she is drawn to. But, what got me was it turned out to be a time-travel story. Kate and Jarrod had to go back to medieval time to stop a curse a sorcerer had put on his ancestors. The chemistry between Kate and Jarrod is smokin hot. 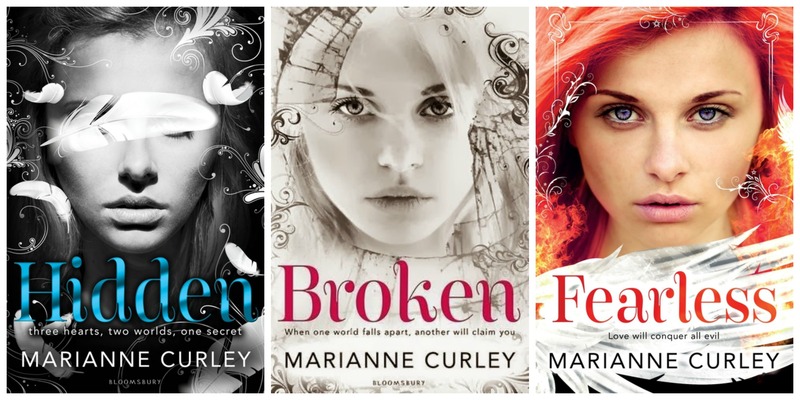 If I had anything negative to say, it would be that Marianne Curley needed to write a sequel. It left it wide open for one. Hey, maybe we can get a petition together and present it to her. What do you say? 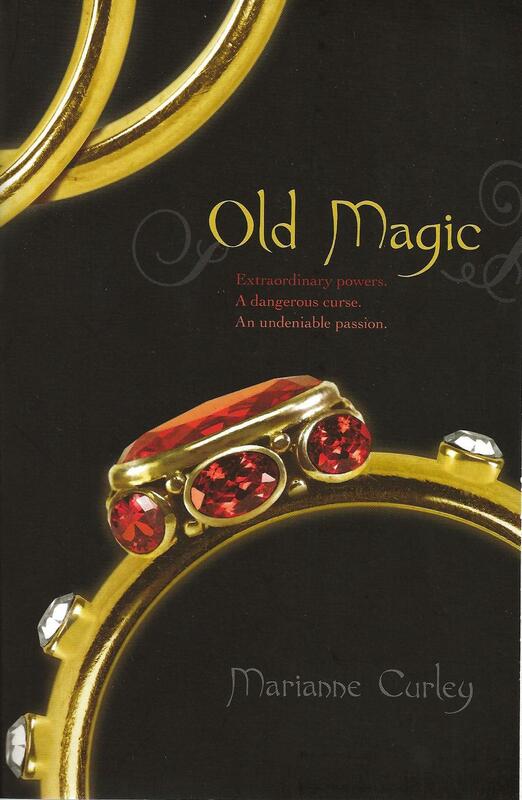 Solid 5 stars for Old Magic! Jarrod is the new kid in a small town but there is something different with this boy and Kate catches this the moment Jarrod steps inside the classroom. Jarrod is like Kate but different from Kate because he is unaware of his gift and is in denial about it. However, this new boy has a terrible secret; a curse that tears his family apart. And the only way to break this curse is to accept his gift and the help from Kate.This book is AMAZING. I never thought that I would love this book as much as I did. It was an exciting book. For a change the male character Jarrod is not the perfect kind of guy. He is somebody who is insecure and lacks confidence at the many parts of the story he is spineless while the female lead female character Kate is the confident one who is strong and sure of herself. The roles were switched here and there is non of those damsel in distress kind of thing if there is a damsel in distress the person is a he and he is Jarrod. The guy really needed confidence in a big dose. There were times that I hated him because no matter how many evidences that Kate presented to her he still doesn’t believe her. And the times that he blew Kate off I just want to crack his head. But the guy is really sweet and a loyal friend all he needed is just confidence.The part that I really love about the book is the part where they traveled to the Medieval era. This is the big turning point of the story. Jarrod is starting to grow up and develop self confidence to be able to fight Rhauk. Rhauk is really the definition of evil. Gosh!! I wanted to kill the guy myself. I have seen his kind of evil in movies but reading about it puts me on the edge. I was shouting and really frustrated. I wanted Rhauk to be killed. Oh he was so evil. I was always on the edge with this book. It is one of the exciting books I have read. Full of magic and witchcraft. Totally a different type of paranormal reading journey. The book caught me off guard I never expected it to be this good. It was exciting and full of action. There was romance in it and friendship. I recommend this book to everyone.